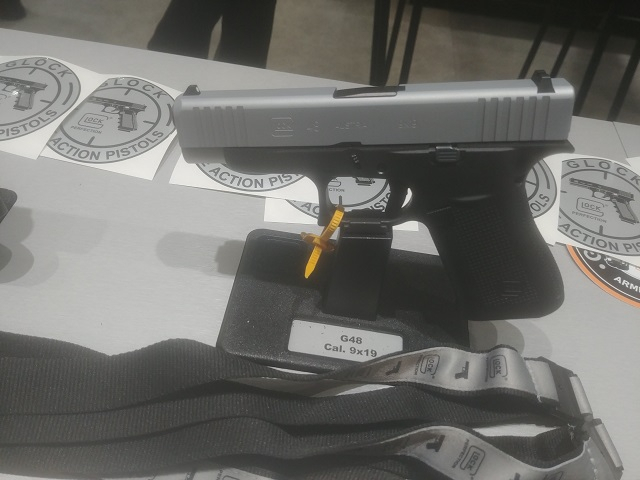 SHOT Show 2019 has just concluded, but what were the best of the new concealed carry pistols from the show? What’s the new hot stuff that’s worth packing? Here are six awesome CCW gun choices from this year’s crop of new guns. Mossberg announced its first handgun in more than a century, the Mossberg MC1sc. It’s billed as a solid budget gun for the concealed carry market, and it does deliver though it is entering both a crowded segment and at a crowded price point as well. The MC1sc is a single-stack, polymer-framed subcompact in 9mm, holding 6+1 or 7+1 with a flush-fit or extended magazine. It’s broadly in the same class as the M&P Shield, Walther PPS, XD-S and Glock 43 in terms of size, barrel length and everything else. The MC1SC is pleasant to shoot, accurate, and has a novel take-down system that allows stripping without pulling the trigger. You can choose with or without a crossbolt safety, with or without night sights and also whether you want a laser or not. MSRP starts at $425, but expect street prices around $350. It’s a solid value for the price, so check it out. 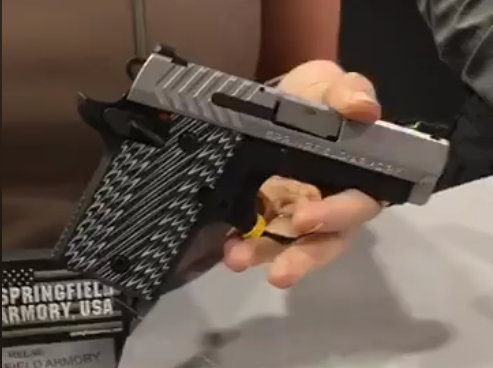 Springfield Armory released their own micro 1911 in .380 – the 911 – so the natural thing to do is to scale it up a bit for 9mm, which – as it happens – is what they did to create the Springfield 911 9mm. 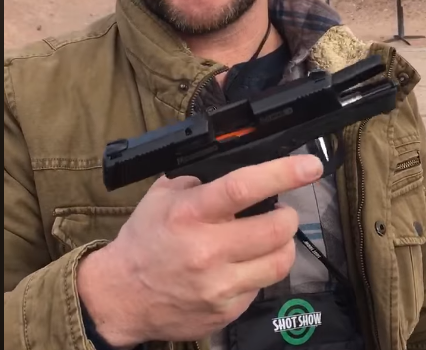 If you want the smallest single stack 9mm possible, this is one of the concealed carry pistols to look for. Several finish options are available – including black nitride and stainless steel – with or without Hogue overmolded grips, and a Viridian laser grip. 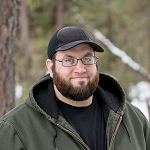 Barrel length increases to 3 inches, overall length to 5.9 inches, and they hold 6+1 or 7+1 with flush or extended magazines. All models have Pro-Glo night sights as standard. If you’re okay with a subcompact single-action, these are priced to move compared to competing models like the Sig P938 or Kimber Micro 9, with MSRP starting at $640 for the Hogue grip model. Fit and finish are excellent, especially for the price point. 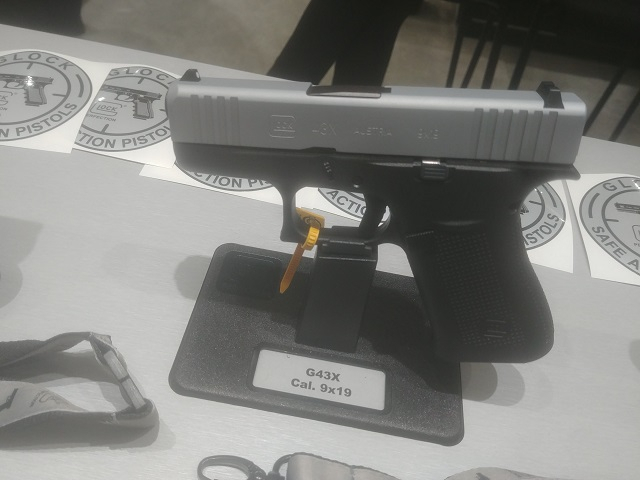 The Glock 43X and Glock 48 were “leaked” prior to the show, so everyone wanted to see them in the polymer and metal. The 43X isn’t a game changer, per se, but darned if it isn’t a great pistol. The 43X has a slightly wider frame to accommodate a double-stack magazine, which brings capacity up from the standard 6+1 to 10+1 of 9mm. The slide remains the same width, but the frame is only 1.1 inches wide. Carry weight unloaded is only 16.4 ounces, so it’s a potent packing pistol. If anything, it’s an improvement on the Glock 43 as the slightly fatter grip fills the hand a bit better. It’s currently only offered with a stainless slide, but the usual options of sight upgrades (standard Glock, night sights, etc.) can be had as well. The Sig P365 better watch out. The Springfield 911 Alpha is a slightly stripped-down version of the 911, a micro 1911 in .380 ACP. This version is still decently appointed, so don’t let the value tag fool you in the least. It’s priced to move ast $429 MSRP. With the build quality and shooting characteristics of the 911, you’d be pretty hard-pressed to beat the value for money. Given the extremely compact dimensions and carry weight of less than 13 oz unloaded…it’s a concealed carry pistol that’s easier to pack than almost any other. Overall width is reduced to 1.1 inches (the same as the 43X) and unloaded weight to around 18.5 ounces, making it quite easy to live with as a CCW pistol. 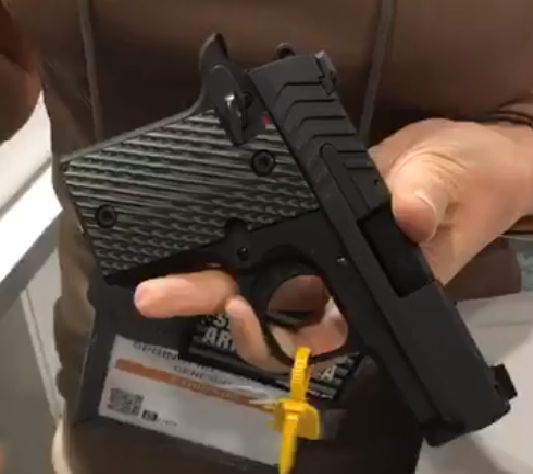 For those that think the regular 19 is just a little too fat, just a little too heavy (which is just crazy, but that’s for another time) then this pistol is perfect. The reduced weight and grip width makes the 48 a little snappier than the 19, but it’s very shootable and accurate. If your mantra is to go single-stack or go home, it’s worth a look. Today’s model has a 3-inch barrel, on a frame size on the medium side. It holds 6 of .357 Magnum or .38 Special. Sights are a gold bead front sight and rear sight notch cut into the top strap. The frame is beefed up and thickened compared to the standard Cobra for the more powerful round. If you wanted a compact magnum, this would be one of the best to start with. MSRP is stiff, at $899, but this is no ordinary pocket revolver. This is a serious concealed carry pistol for when the old ways are best…and sometimes they really are.